Because of the Pomegranate’s large edible seeds, in ancient greek art & mythology, the fruit is associated with life and rebirth. 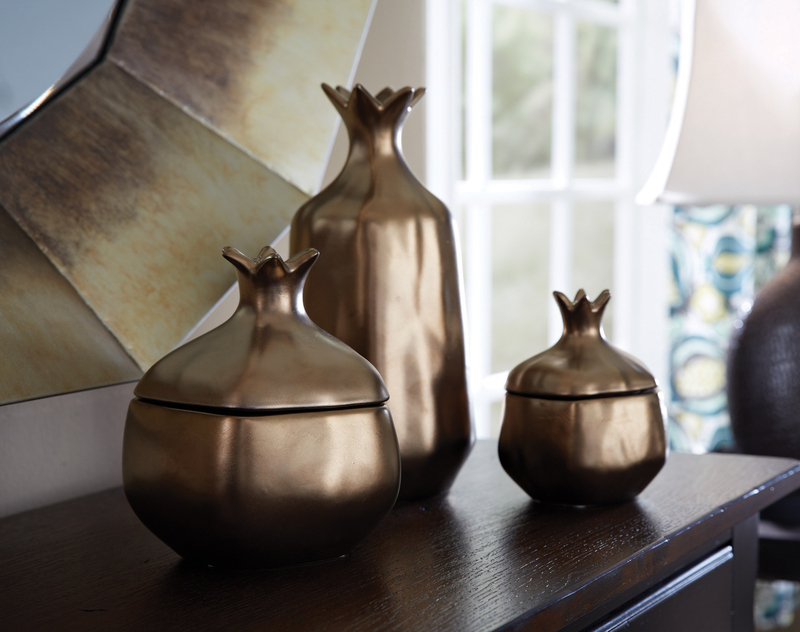 Add elegance and impact with these gorgeous stylized pomegranate jars. SKU: 4010-245. 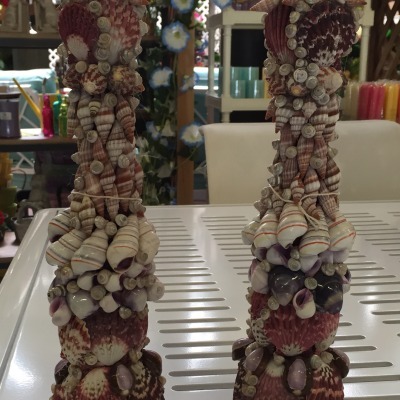 Categories: Autumn, Country, Décor, Gifts, Vases & Bowls. The pomegranate occurs with some frequency in early Greek art and mythology. Because of its large edible seeds, the fruit is associated with life and rebirth. 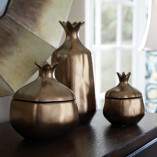 Add elegance and impact with these gorgeous stylized pomegranate jars. 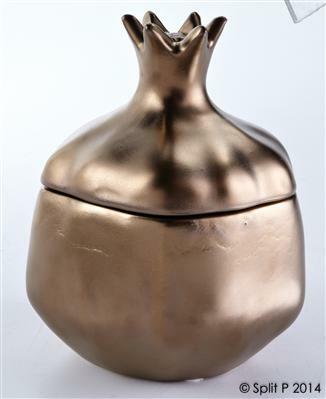 The ceramic jar features a pomegranate shaped top and gold glazed finish. 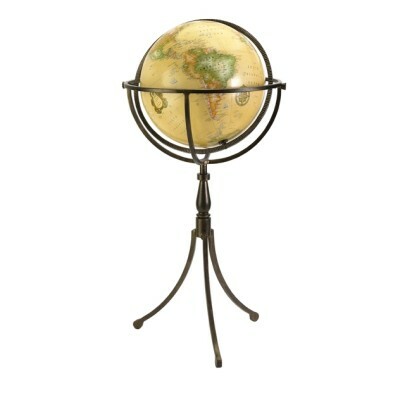 Group several together in varying sizes for a simple decor solution. Simple yet Stylish.